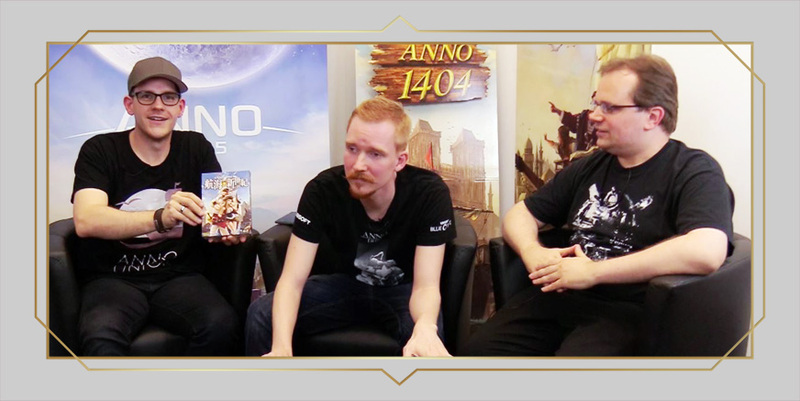 Before we dive into todays Union Update, here a chance to watch or rewatch the Anno 1701 Anniversary stream. More time has passed, and the month of October is already ending. With 10 blogs in October alone and over 1000 comments in one month, we were almost as busy creating content as all of you in the Anno union were engaging. As this week will be somewhat short for us here at Ubisoft Blue Byte Mainz (we have two bank holidays coming up), we will today share a quick recap of previous content and a look at some of the things you can expect in November before we return to our regularly scheduled content next week. We started October with a small throwback to our announcement at gamescom and with the Concept Art DevBlog, kicking off a new series of blogs to give you more insights into the various disciplines here in the studio. You seemed to like it, so we definitely want to continue with these blogs. There was also some talk about a very important topic: fishing huts. With our “So where is the fish?” DevBlog, we wanted to show you how player feedback has already affected the game’s development and how varied feedback collection can be. Finally, we started our second vote, allowing Anno Union members to vote on the third exhibition event for our monument, based on community suggestions. It was also the month of our first livestream, as the AnnoCast had its first test-run for our podcast format where we share insights about the current development of the game. And our second show aired just two weeks after, as part of our Anno 1701 anniversary week. During that week, we highlighted an old classic, sharing memories and giving insights into the development of an older Anno titles. The streaming room is still a work-in-progress, so expect the layout and decorations to change for some of the future shows. We are of course also planning to show you Anno 1800 live and in action, but cannot share an exact date for this yet. What is coming in November? As teased before, we want to talk about a topic that we know is very near and dear for many of you: the military aspect of the game. You can expect a meaty blog similar to the recent Multisession DevBlog where we will dive into this topic and our philosophy for it. We also saw that you enjoyed learning about concept art, so we will continue where that blog left off with a look at the work of our 3d artists. In addition, the Visionary has not been idling since winning our first community vote, so you can expect to hear more from him soon as well. There is also the upcoming Anniversary of Anno 2070, and we would like to hear from you what you would like to see in celebration of it. We are still working on some updates to the website, so rest assured that this topic has not been forgotten. Finally, we are still panning to invite a few lucky Anno union members for a playtest before the end of the year, so definitely keep an eye out for that. We received great comments during the AnnoCast and the Anno 1701 Let’s Play and we are curious about further feedback regarding streams and anniversary content. Do you like the shows? Is there something you would like to see more of? And how do you feel in general about content highlighting some of our older titles? With its first release on October 26th , 2006 (international release dates varied), Anno 1701 changed the look of the series drastically. The evolution into a 3D game brought new content and expanded on features. To move from an isometric 2D perspective into a 3D world was an enormous task and therefore required an ambitions and talented team ready for the challenge. With the passing of the scepter from former Anno developer Max Design, it was the studio Related Designs which accepted the challenge. A development studio that is today of course better known as Ubisoft Blue Byte Mainz. As the team had some experience with strategy titles and development in 3D, the studios own 3D engine was chosen as the tool to bring Anno 1701 in the third dimension. These learnings later (with Anno 1404) became the cornerstone of the “Anno engine”, which is still used to this day in a heavily enhanced and modified form. The conversion into a full 3D world became a turning point, which resulted in a critical success, with not only the reception of the acclaimed Anno 1701, but also with the experience gained during development; these became very important in the development of the following Anno 1404 and the later titles. It is said studio, consisting of veterans and new talent alike, which is currently working on the upcoming Anno 1800, which we hope shall join the ranks of the old and beloved Anno titles; combining their complexity and unique flair while taking advantage of improved features of modern entries in the series. While we highlighted the best Anno 1701 memories of our fans with the last Union Update, we want to tell stories from a different angle today: original developers of Anno 1701 and their interesting, personal and sometimes funny memories about the development of Anno 1701! Hi, my name is Burkhard Ratheiser and I am the Executive Producer for Anno 1800. Back in the days, I was Managing Director at Related Designs and Lead 3D Engine Programmer for 1701. Beauty Shader was an internal term I used for our own pixel shader effect, which was responsible for that uplifting and colorful look of the game world. Eventually that term was even used by gaming and hardware magazines, which was always good for some general amusement in the team. Every time someone asked me why I picked that term, I answered casually “because it makes everything beautiful” – hey, it was probably the “first” coded make-up ;-)! Later on, during some celebration event, (I cannot even remember the reason of the celebration anymore) someone from the team gifted me a small can of model paint as a reference to the “Beauty Shader” and it is still on my desk today. I am the kind of guy who loves to code and back then, I was responsible for our own „Terrain Engine“. As a result of my coding habits, the Terrain Engine mutated into a huge, bloated C++ “Monster” which worked as its own 3D Engine including own resource management systems (such as shaders) and included complex features like Undiscovered (aka fog of war), all living in our own engine. – The camera in Anno 1701 is rotating with the sun and that is the reason that players always see a perfectly illuminated scenery. You can notice that when looking at the shadows, which move together with the camera. – We were especially proud about the rendering of the rivers in the game. It consisted of a string of planar triangles and pixel shaders to create the final illusion of a stream of water and depth. – Anno 1701 was the first Anno in real-time 3D. When we had our first presentation to reveal the game to the press, we had a rendered ship on the start screen, which looked like a very complex rendering. When we started the presentation, the picture would blend into a real-time presentation of our engine and the ship and the water started to animate, transitioning everything smoothly into the actual gameplay part. Every time we did that, there was a noticeable “ooh” in the crowd. Hi, I am Christian Rösch and I have worked for nearly 13 years as a programmer in the Anno Team, taking part in nearly every feature you can imagine. To develop our engine further for Anno 1701 was an exciting and sometimes difficult task. Back then, many of our team members had just graduated from university, so we had a team full of ideas but some of them were missing practical experience in game development. Our own engine, which we used for the game Castle Strike, served as a fundament for the development. The engine had to go through many modifications and expansions, as both games had quite different requirements for the engine. Anno was an already established series with very specific gameplay elements and therefore, it was hard for us to foresee if the switch from 2D to 3D would play out well in the end. It was also a time when video card technology evolved at a drastic pace. That allowed us to utilize new technologies and resources in order to test new features and tools during the development. For example, we could move on from formerly simple Shader technology, written in Assembler, to way more complex “HLSL Shader”. This enabled us to now write our own Shaders in C++ like code instead of machine language and that allowed us to implement new technologies faster than ever before. That offered us a wealth of opportunities to work with. One example for these opportunities was our new shadow system which expanded the detail grade of the game significantly. Incredible important was the implementation of the ocean, as it was a major part of Anno’s game world. We also added reflections, foam generation, surges and navigable water for the ships. For the ship’s sails, we had our own internally developed cloth simulation. Last but not least, a screenshot from the first Anno 1701 prototype, “Beauty Shader” included! Many of us keep many precious memories, as they were part of our gaming lifes for so many years and the reason for that much-cited special Anno feeling. These moments show us that across the many years and titles in the series, a great and unique gaming community was always part of our journey. 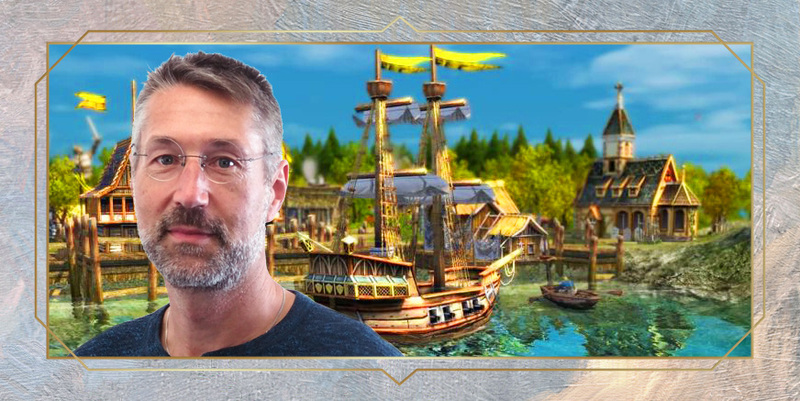 Eleven years ago, Anno 1701 had its maiden voyage- full speed ahead into the third dimension to bring us new visuals and features to allow us to immerse ourselves in the world of Anno like never before. We would like to raise our hat to Anno 1701 and its community, and therefore this week’s content will be dedicated to the first Anno in 3D! 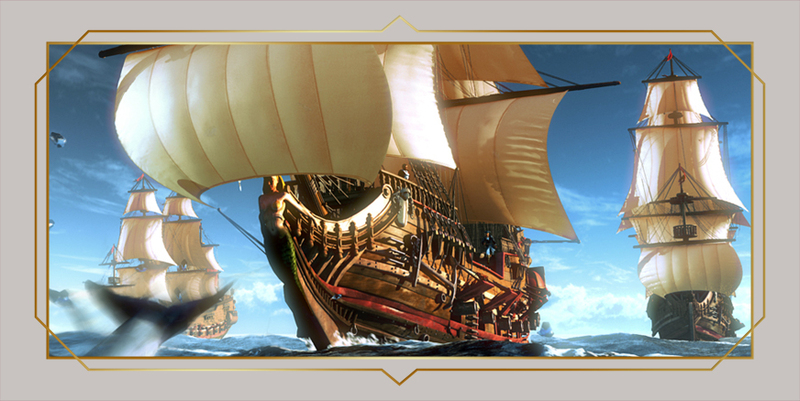 Anno 1701 was an important leap for the series as a whole, as the third Anno introduced new features and systems and with that, set the direction for future titles. 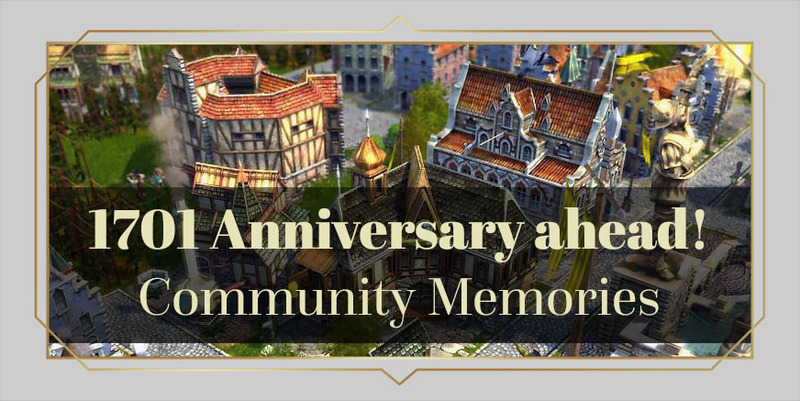 We would like to highlight the special memories from our community today and the upcoming Devblog will explore our own memories as Anno developers and why Anno 1701’s heritage is still of importance to the upcoming Anno 1800. Did you know that Anno 1701 had two board game tie-ins and even a book? Maybe some of you even own one of these precious pieces? We are interested what objects you might have in your collection and if you are a fan of the idea of expanding the Anno universe with board games or other merchandise! I guess Anno 1701 was my first Anno ever. Back then, I played it on a Nintendo DS, because I did not own a PC at that time. ^^ The most satisfying experience was build your city on a volcanic island and later take someone’s island for your own just to expand it even more. Not quite that easy with a negative income where my only income came from raiding other AI players, but it made fun to rebuild the island and expand it once it was taken, especially because I couldn’t build much and once I took some island completely. I also played games where I just build up my city without raids, but a volcanic island was a must-have for me and still is in all Anno games where a volcano exists like in 1404. I was born 2004, so I am fairly young. My first Anno game was 1404 and I was so excited about the game that I wanted to get the more Anno titles and I ended up playing 1701. Despite being an older game, I really liked the visuals and had a great time playing. The best thing about 1701 is that you can declare your independence from the Queen and that you can attack other civilizations. That leads to more gameplay freedom as nobody tells me what or how to do it! My most beautiful memory is an also a very personal and special moment for me. As a small boy, I desperately wanted to play Anno 1701, especially after playing 1602 and 1503. I just wanted to experience the look and feel of the new title. One day, quite some time after the release of 1701 had passed,; my mom came home and brought a gift for me. It was Anno 1701 – The Sunken Dragon. She told me that it was a great bargain (single mother and we had not much money) but we both had no clue that it was an expansion and I was happy until I realized that I could not play it…. I was sad and my mom did not understand why until she did some research and understood that it was not the full game. She promised that, with my next birthday or Easter celebration, I would get Anno 1701 as a gift. And indeed, that is what happened! It was an amazing moment and we both were incredibly happy about the outcome. I spent some many hours playing Anno 1701 and I still play it today. It holds a wonderful emotional memory for me and it still holds up greatly. Thank you for bringing this kind of moment with the anniversary content back! I can remember how sceptical I was at first. An Anno in 3D, can I even play that? I had problems with my eyes back then, especially with everything in 3D. And then, I had the pleasure to get invited to test the game at Related Designs in Mainz. It was brilliant; I just hopped on my bike and drove to the studio. It was a great day, being able to play the game for one day, while the developers watch you and ask you plenty of questions. Oh and then there was the fan meet and greet on Castle Ronneburg. We slept in a B&B and there was a special surprise event in Büdingen. There was an actor outfit doing a nightly tour through in historic garbs re-enacting old stories from the city Büdingen. After that, we had a meet&greet in the actual castle. We started with a tour, had a lesson on a bow shooting range and a medieval dinner with a herald being responsible for the distraction. I have the fondest memories of that event but I can tell you that it was a lot of work to organize everything. It was great to hear that the son of the chef of the restaurant was a big Anno fan. I just invited both to join our festive party and I made sure that they even got some Anno goodies. Everyone was just delighted. We had plenty of sponsored goodies for everyone, including a real fisherman’s pipe! What a brilliant community, just wonderful. The Anno series first bustled onto gamer’s screens nearly two decades ago, and next week marks the anniversary for one of the biggest milestones in the history of the Anno series. The release of Anno 1701 in the year 2006 was a big step for the series, an evolution from the first two 2D isometric titles into the third dimension of gaming. It is also a very special game for us here at Ubisoft Blue Byte Mainz, as it was the first time that we (under our original name Related Designs) got our hands on the steering wheel of this storied franchise. Many of those developers are still a part of the team today and they incorporate their experiences into the development of the upcoming Anno 1800. We love to reminisce in memories about the development of the older games and what they have contributed to the series as a whole. And with these trips down memory lane, we remembered that many of you guys where already a part of our community back then while newer fans might have also interesting experiences when going back to try out one of the older Anno games. Share your Anno 1701 memories, anecdotes or creations such as videos, screenshots or fan art! What was the first things you did or remembered when starting to play Anno 1701? How about some funny or beloved memories you connect with the first Anno in 3D and why is Anno 1701 still an important game for you as a fan of the series? We hope that you have plenty of comments or creations to share with the union. You can also post videos, screenshots, stories and other fan art in our Ubisoft fan creation topic: http://forums.ubi.com/showthread.php/1760804-Moving-Pictures-We-are-looking-for-Fanvideos-and-streams! The best entries will get their own spotlight during next week’s Anno 1701 anniversary celebrations. We are curious and excited and wish you all a great weekend! With our recent DevBlog about the world fair, we called on the creative force of the Union to provide us with interesting exhibition ideas, which would fit into the 19th century setting. Unsurprisingly, you all more than delivered, contributing to a huge list of ideas ranging from exotic takes, representing the technical advancements of that new era, to the progression and evolution of its society. We spent the last weeks gathering all of your ideas and discussing them in detail. We compiled them in a list of nearly 40 different suggested themes and added additional notes such as interesting stories we could tell, ideas for related items and possible gameplay impact. During those discussions, we had a hard time picking our favorites, so we mixed some ideas and story background from Union posts together and checked which of the exhibitions would work best to benefit certain features. In the end, it was not only about picking the best idea but also about considering which exhibition rewards would offer an interesting addition to the gameplay. This also tells you that exhibitions will have an influence on various aspects of the game so this is something we always have to take into account. A: Agricultural Exhibition: The Cream of the Crop! B: Urbanism Exhibition: Progressive City Development! Do your dreams lack design? Then here is the architect-tonic! The finest draughtspeople gather under one roof, to conceive cities of style and character! Discover blueprints to enrich and beautify your metropoles, yet still provide the conduits of modern convenience – sewerage, electricals and gaslight – with their fair share of logistical love. Truly ornamental! C: Naval Exhibition: The Pride of the Ponds! Ships galore! Immerse yourself in oceans of possibility as to what the future harbours! See what pier-led researches have in store for quay areas of interest! Render trade and travel trivial with the latest innovations, and if feeling nautical, discover naval deterrents to really float your boat! Behold an era of sea change! It is now up to the members of the Union to vote for your preferred exhibition. 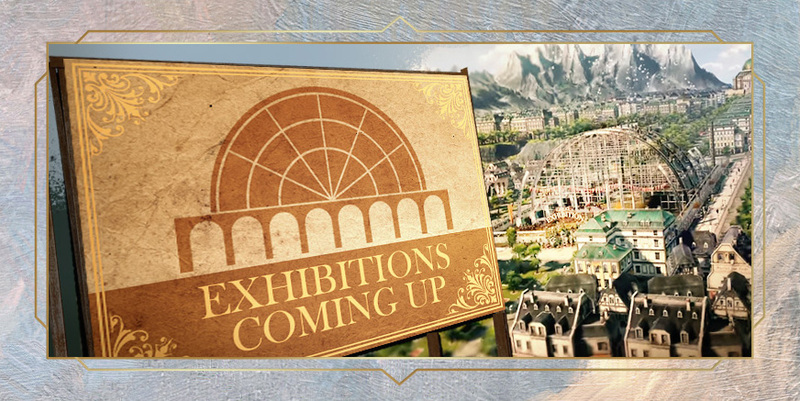 Once you have made your choice, let us know why and share your ideas on how your favorite exhibition might have an impact on the world of Anno 1800. Despite airing on a superstitious friday the 13th, our show went really well and we hope that you had as much fun watching the stream as we had being on the show. A big thank you to everyone who joined the stream, it was great to see so many Annoholics watching, listening and engaging in the chat. And let’s not forget our operator and Senior Game Designer Christian, who spent his birthday evening to ensure that everything is running as well as our moderators Freeway and O5ighter for helping out with the chat! The AnnoCast is our relaxed “after work” LiveCast, where I invite various developers to talk about their work, the current state of the game and to answer your community questions. While the show itself is a podcast with a live camera, we plan several show formats on our new Twitch channel. From the re-occurring AnnoCast, to Let’s Play sessions of older Anno titles and DevBlog supporting shows where we will be able to show you parts of Anno 1800 and where our developers can show how they work and ask you questions live! And with that, we can already announce our next livestream. As some of you might now, next week marks the anniversary of Anno 1701, a perfect opportunity to start our first Let’s Play! And what could be more entertaining than watching some of the original developers of the game playing and to walk down memory lane. So prepare for some interesting anecdotes, insights how 1701 inspired Anno 1800 and probably horrible city building. As always, we are curious about your feedback regarding the show. Let us know what you would like to see in future, how we can improve the stream or share your crazy ideas in the comments below! You remember that we asked for your screenshots and other community creations to decorate the streaming room? Many of you answered the call but we have to find a way to present them in a proper and worthy fashion. We have some cool ideas how to display your creations, so expect some changes to the arrangement of the room in upcoming shows. A lot of you are interested in insights about or work and with that, what kind of hardware and tools we are using. We mostly use workstations, which have different requirements depending on the various disciplines. That means a lots of RAM (you might not need it for gaming, but 64gig is common) and good CPU’s to compile, render and to run the various demanding applications. We need a lot of processing power but rarely beefy gaming cards. For all things art related, we use Wacom graphic tables in various form and sizes, which are industry standard. The classic idea of swashbuckling pirates became a tale of old times in the 19th century. But we all know that Pirates are a fundamental part of the Anno series. So rest assured that in Anno 1800, Pirates will be represented in one form or another. How exactly will be a tale of a future DevBlog. With the reveal, we promised a rich and detailed campaign to get immersed in the 19th century setting. But the campaign, which will be embed in the sandbox gameplay, requires many of the building blocks of the games foundation, which we are currently building. While we surely started to write and work on the campaign, you will have to wait until next year to get more details about its nature and story. Is there a Jorgensen hiding somewhere? Can you even imagine an Anno game without a Jorgensen? We surely can’t but also like to keep a few things mysterious. Dirk gave some details about the beginning of the Jorgensen family with Anno 1701 and how the idea of the Jorgensen is rooted in the old TV series “Babapapa”. No worries, I had to look it up online myself as well. We can confirm that Anno 1800 will have the familiar zoom level but also a free camera option which will allow you to get up close to your citizen or to let your creativity go wild when creating beautiful screenshots. You will be able to build sailing ships as well as steam powered naval units. Both ship types will have features, which will distinguish them in their functionality. Old as new technology will have their own advantages and downsides, which we will discover in future development blogs. The item system was missing in 2205 and we realized, that it was a feature which many Anno players had grown fond of in the past. We gave you a glimpse on the returning item system with the monument blog and some footage of the zoo. The new system will be an evolution of the old feature, so expect a more complex system, which will give you interesting options how items can affect your gameplay. You were curious about the variety of buildings you have seen in the harbor scene from the announcement trailer. While the footage shown in the trailer is an early version of the game, our goal is that players have a variety of constructions available to create a functional but also beautiful harbor. How many housing buildings do fit in one Anno game? A hot topic as of late, many of you want to know how many different assets by tier we will use for housing. The reality: It has not been set in stone yet. Rather than deciding on a fix number, we usually observe how the various tiers feel in a cityscape to decide how many are needed in order to achieve the best possible and feasible variety. That means that buildings might be altered and added in the upcoming milestones. As always: Pre-Alpha or later footage you might see on the Union is not representative for the final game. Any news about the military system? Military is an important but also complex topic. As time to answer community questions is limited during the AnnoCast, we could at least say that this topic deserves its own dedicated DevBlog on the union. One question that keeps popping up in the comments is how the Anno Union will have an impact on the game’s development. As previously explained, this can happen in a variety of ways- some very direct and immediate (as is the case with our votings), others less so. For today’s blog, our Brand Manager Marcel Hatam will show you how feedback from players lead us to move around some production chains to ensure that 1800 is a proper Anno game. We decided early on during the development of Anno 1800 that working closely with our community would be a big focus for the team. We had two main reasons to do so: one is that the opportunities for game developers to interact with their communities have dramatically changed in recent years (think of Twitch), and we knew that we wanted to use these tools to get closer than ever to players. Secondly, we had the testing phases for the Anno 2205 DLC packs as a catalyst that deeply impressed the teams. Seeing some players spend hundreds of hours testing these DLC packs, and sending hundreds of suggestions sent our winds wandering…what if we could find a way to get this same amount and quality of feedback long before the game is released, so we would have a chance to let the players influence the day one product? And could we find a way to take this idea a step further, not just giving our community several opportunities to play the game early and give feedback, but to also directly influence some of its content? The downside of this decision would of course be that we would have to announce the game early, even if that meant that we would not be able to show a lot of gameplay footage for the first few months, as many things were still work in progress during these early pre-alpha stages. As we are a German studio, we eventually agreed to announce Anno 1800 to the world during gamescom 2017, over a year before our planned release. However, we also knew that gamers want to deeds, not just words, so we did not want to announce the Anno Union with just future promises and big plans, but wanted to show at gamescom that we are serious about involving the community from the start. And so it came to pass that in late July 2017, roughly a month before we would unveil the game to the world at gamescom, a group of ten long-time Anno fans found themselves in the Ubisoft Blue Byte offices here in Mainz, lured in with an invitation to “discuss the future of the Anno franchise” with us. 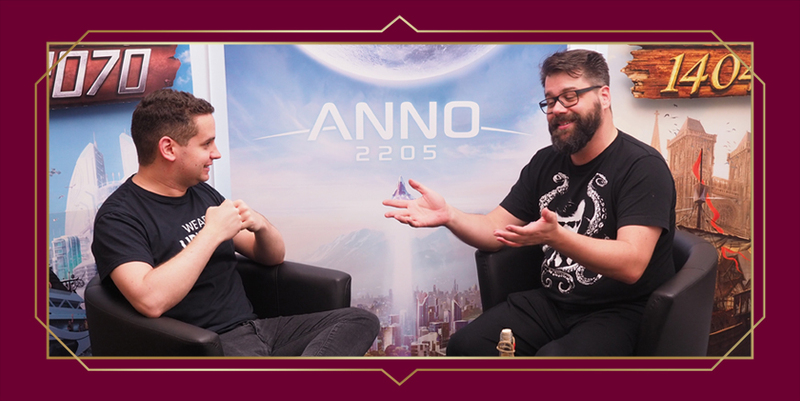 On the first day, we gave our guests an opportunity to give their general feedback directly to us, sitting down with our Creative Director Dirk and our new Community Developer Bastian to tell us anything Anno-related they had on their minds- praise, criticism, questions, hopes; all was fair game. Afterwards it was time for us to put the cards on the table, and introduce our guests to the industrial age with a presentation and an exclusive gameplay demo of Anno 1800. Here we could already see the first indication that the Anno Union could be a success, as the questions and feedback on the presentation started pouring in immediately. In fact, there were already more questions than we were able to answer, given that the game was (and still is) in an early pre-alpha, where many things are not final or still in flux on the development side. Finally, Bastian gave our guests a first look at our plans for the Anno Union, before it was time to cap off the day with dinner. Because on the next day, they became the first people outside of Ubisoft to play Anno 1800. Under the watchful eyes of our Game Designers, who were very excited by the opportunity to see players get their hands on their work and to take notes, the first buildings and roads were being placed. Fast forwarding three hours, and we sat all of our guests down with our Blue Byte GamesLab Team (who regularly conduct playtests for Ubisoft Games), to gather their feedback for the team. The questions asked ranged from the general (“Does this feel like an Anno game to you?”) to the more specific topics such as the game camera or the transportation of goods. In the version that our guests got to play, we had sausages as our first source of food in the early game (with a production chain of pig farm => butcher => sausage), whereas we wanted to give the classic Anno fishing huts a new, more industrialized 19th century spin, introducing them later via a new production chain for canned fish. Anno games always started with an “one-building” source of food, like the fishing or hunting huts in previous games, so immediately requiring a production chain of several buildings to get any kind of food was overwhelming on the gameplay side. We want our game to be complex and deep, but we also want this complexity to ramp up over time, as was the case in previous Anno games. Seeing how islands, ships and the ocean are central topics in any Anno game, not having a fishing hut simply did not “feel right”. As we outlined during an earlier DevBlog when we talked about our Vision, creating a world that feels right as an Anno game is an absolute priority for us. In addition, this would be a perfect early introduction to the concept or coastal and harbor building, of which there will be much more later on in the game. After the event, when our intrepid players had travelled home to wait for the game’s announcement, we discussed the feedback reports from the GamesLab team- and found ourselves agreeing with the feedback from the test session. The production chain for sausages was more complex than usual for Tier 1. In our quest to react to player feedback about Anno 2205 being too easy, we had turned up the complexity a bit too early. On top of that, the lack of the classic Anno start with a fishing hut clearly was something our long-time fans felt very passionately about. So we decided to see what would happen if we moved things around a little bit. So in the latest version of the game, fish is once again the first simple one-building source of food for the early inhabitants of your island, while the sausages got pushed back to a later stage of the game. Whenever we finish a Milestone, the team will spend the following Friday playing the game, before everyone fills out a survey to see what we think off the new build. As you can see from the screenshot, we quite like these changes, so unless anything unforeseen happens (such as player feedback :p ), you can most likely expect to once again build a fishery as one of your first buildings once you dive into the world of Anno 1800. So what is the takeaway from this story? First, never get between an Anno fan and his early game fish. However, on a more serious note, I hope that this DevBlog was also reassuring to those of you voicing their concerns that the votings will be the only way the community can influence our development. There are many ways your feedback and ideas can have an impact on the game besides direct voting, and there will be many more opportunities once we invite more Anno Union members to play the game. Welcome back to our Anno Union Community Update after the short bank holiday break last week. As some of you may know, October 3rd is the German national Holiday as we celebrate the German reunification, and this year, the official ceremonial act took place in our home city of Mainz. 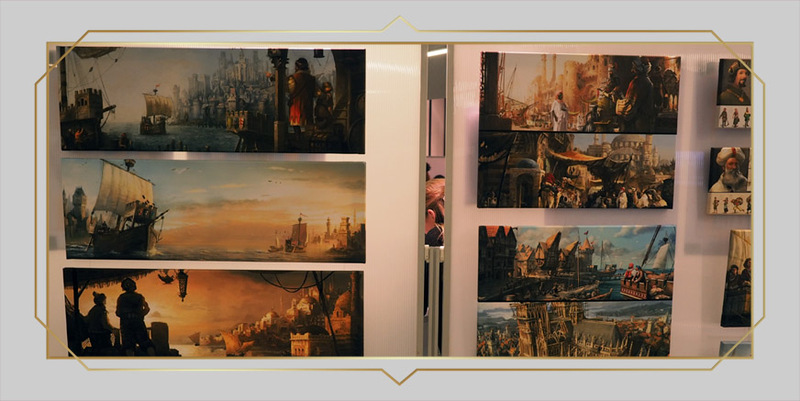 That is why we at Ubisoft Blue Byte also took part, with a small exhibition of some of the prettiest concept art from Anno 1404, 2205, The Settlers, Champions of Anteria and Assassin’s Creed identity. In addition, we had one of our Senior Concept Artists, Ramón, do live demos where he drew some concept art for visitors to watch on a big screen. Good times were had, and we greatly enjoyed the chance to tell attendees of the event more about our work and the art of game development. Moving on, with a short update about the next big Anno Union vote: With our Monument blog, we asked the Union for ideas about World Fair Exhibitions and you clearly know how to deliver. Our team is currently going through all your great ideas and we will be able to kick off the next vote soon. Time for the first AnnoCast! The AnnoCast will be our new Anno Union Live Podcast on Twitch and we plan to add more formats such as developer streams and Let’s Play sessions to the channel in the future. In our first episode, Creative Director Dirk Riegert and Int. 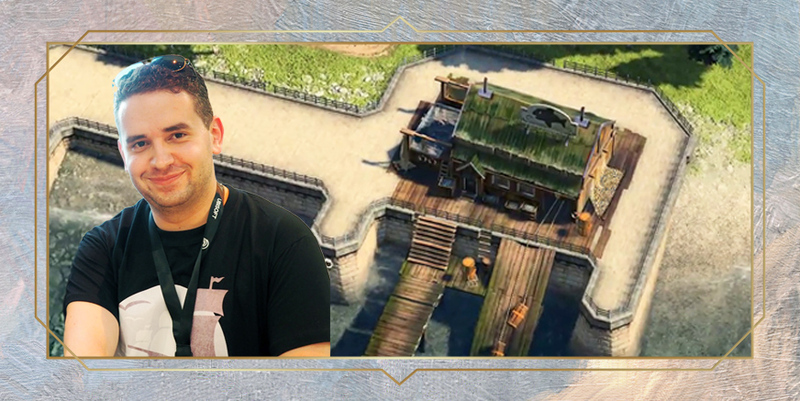 Brand Manager Marcel Hatam will join Community Developer Bastian Thun to discuss the Anno Union and answer your questions. We hope that many Anno Union members join us during our show. If you have questions for the QnA part of upcoming podcast, feel free to drop them in the comment section below. But please keep the questions spot on and brief, as we have to read them out loud during the show! Finally yet importantly, we have another shout out for our Anno communities out there: The Anno Subreddit! I started the /r/anno community because all the Anno subreddits where game specific, and this would cause the community to splinter between games. The subreddit started when Anno 2070 was about to be released but I still mostly played Anno 1404 which meant that I could not use the Anno 2070 subreddit due to it being off topic at the time. Now the subreddit is one of the main Anno subreddits which gamespecific ones always popping up with each new release. Hopefully Anno 1800 will continue to grow the Anno community and with the help all the other Anno communities and BlueByte we can grow both the game series and community in a positive way! And don’t forget: We happily give your community project or creations a spot in the limelight. We created an own topic in the Ubisoft forum to make it easier to reach out to us and will see if we can add a fan section on the Union in future: Moving Pictures: we are looking for your creative content! I would love it as a gamer if we could enjoy your work up close and personal- not just zooming in, but moving at eye level through my city to see my inhabitants. Basti: Experiencing the vivid world of Anno in first person surely sounds exciting but implementing such a feature is not as easy as it sounds. The game is simply not optimized for a first person camera mode. As an example, buildings are created with the specific isometric Anno view in mind, from the shape to the displayed angle. Implementing a first person cam would mean we would have to spent a lot of work creating the camera system itself, its movement, improving buildings and structures so they look good from a FPS angle to optimizing various assets. Creating all assets that would look great in a first person camera would also mean that we would likely have to go with smaller maps, and higher system requirements. And to be frank here, spending so many development resources for a feature that wouldn’t add real value to the game would be better spent working on more important features. I hope that Anno 1800’s buildings will have the same attention to detail so players are tempted to spend some time just looking at them. Wich software do ou use for this render ? Photoshop ? In the little animation, there is a 3D mock-up you talked about, no ? Is it not to hard to imagine a building only with photos ? I mean, I suppose we can’t see everything of a building with photos, so, do you need to imagine the unseen part, as you have less than three bricks on a photo ^^ ? And yes, I forgot something ^^ How do you begin your work ? André: The first sketches are done completely in Photoshop. 3d mock-ups are done in 3ds Max and sometimes edited with in-house tool. Overpainting the mockup is then again done in PS sometimes using photo textures. Working with old references can be challenging at times, especially as some of these older illustrations can be hard to read. Sometimes we just pick ideas from several different sources (e.g. the materials from picture 1, the roof structure from pic 2 etc.). I did a lot of experimentation with different drawing techniques to find a way to efficiently draw detailed-looking buildings. During this process, you also nurture a keener eye for the era you are working on. If I see a brick stone factory these days, I will automatically take a closer look. In addition, there are of course films and tv series from the era that help you build up a mental library of ideas and references. In the end, the most important aspect is what people associate with the 19th century, like big smoke stacks or bricked buildings. We have to consider these expectations to successfully transport players to this era. I love the idea of using the exhibitions as an active gameplay elements, and that you can earn items through it (so will you just select one of them that you get to keep?). Do you think it may be possible to add further exhibitions later on, for example through DLC? Natacha: With the world fair, you can choose the event you want to prepare, but one event at a time! Once the event has ended, you can make another choice. First and foremost, our focus is on the release version, but since events are subject to an unlock during the late game, adding content should be simple for this feature. I’m very happy that there will finally be a possibility of interaction with the public buildings!! Nice. I hope this will be for every building and not only zoo and fair. Will there be natural catastrophes like earthquakes or erupting volcanoes? Will there be environmental pollution through the factories? Basti: Natural disasters won’t be in the release version of the game. However, factories will be something you have to look out for, as they are a possible fire hazard for your metropolis. While we don’t want that pollution has a big impact on the game, as it was even a main theme in 2070, you might imagine that your citizen might not be that font of the idea to have a big industrial factory district in front of their courtyard. Will there be a companion app again? Basti: We are fully focused on delivering a great PC game with Anno 1800, so there are no plans for a companion app. Will there be churches or religion in Anno 1800? I couldn’t see any church towers in the trailer, but in the older Annos religion was always a need you had to fulfill, and the churches helped to create prettier cities. Basti: Rest assured, our churches won’t just be a decorative building for beauty builders. Hi, my name is André, and I have now worked as a concept artist on the Anno series for over seven years. From my first Anno steps (or lines) in the middle ages to exploring settings on a futuristic earth and now arriving in the industrial revolution, this journey was a chance for me to earn experience as an artist and to learn many things, some of them are valuable lessons for my craft and career. I want to share a part of said experience with the Anno Union and show you why concept art is important. We talked about the vision for our game in the past, and it is the concept artist’s responsibility to take all these creative ideas and to visualize them. That can be straightforward, like the first concept sketch of a new building, environmental concepts or a panorama visualizing how a whole cityscape could look like. But we also create mood slides, where we capture a certain atmosphere or feeling into a concept art piece, and work sometimes with abstract ideas to get them into form and shape. Visualizing ideas helps Game Designers (but also other disciplines) to get an idea on how game elements could look like, but also to figure out if and how they could function in the game. Functionality is another important factor. Sometimes, an idea sounds great in our mind but once we can see it visually presented in an artwork, we might realize that it is not working out as we hoped or that it needs at least some more thought and iterations to function properly. Imagine you have an idea for a new crazy factory building or a cool 19th century machine. 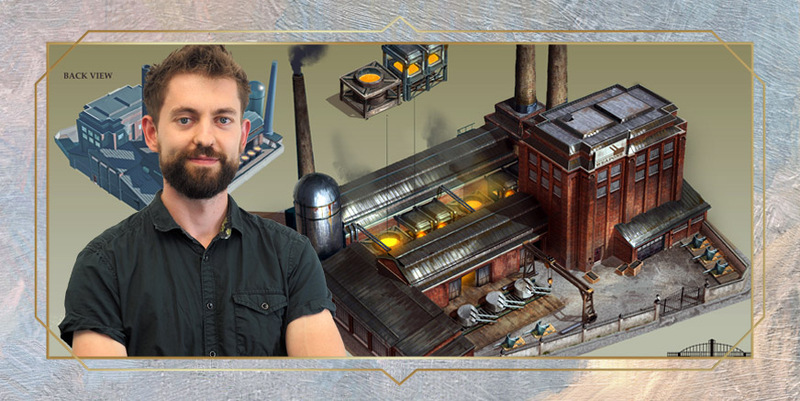 A concept artist can help to figure out if that concept for a factory could work well together with the other buildings in the game or if the design of your machine feels plausible and convincing. Our credo here is “not 100% realistic but believable”. We take advantage of creative freedom when creating concept art but the right mixture between reality and fiction is what makes an asset believable. Finally yet equally importantly, concept art helps to set the visual tone for a game. Having a set art direction is crucial to create that beloved Anno feeling. So what exactly is the tonality and feeling that we are aiming for with the upcoming Anno 1800? The 19th century with its industrial revolution was, especially in large cities, often a dirty and sometimes gritty time. However, as with our Anno games set in the middle ages, the tone for Anno 1800 should reflect memorable aspects of that era without becoming too dark or dirty. For an Anno game, we all want that sense of satisfaction and wonder when observing our citizens bustling around a carefully crafted diorama of a city. Which of course does not mean that Anno 1800 will not give you that soot-blackened feeling of the 19th century, as the depiction of the industrial revolution is an important part of immersing players in that that era. At the end, artful architecture, rural buildings and industrial revolution should create a harmonious overall architectural impression. A good mixture allows us to represent everything, with vibrant cultural buildings or other eye-catchers compensating for your brick-stone factories covered in industrial smoke. We always start with research. Anno is a city building game and therefore, architecture is the most important aspect we have to visualize. Our team usually starts to browse through various sources from that era, like old photos or paintings. Over time, we gather a good amount of reference material. However, it is not only the 19th century we take inspiration from. When you do research about production buildings of that time, you quickly realize that many buildings were mostly made out of brick stones and all shared a similar architecture, which makes it hard to distinguish various types of buildings or their functions at a glance. We of course had to admit repetitive buildings made of red brick stones are not very interesting to look at, or not even what people expect when they think of the industrial revolution. That is the point where creative freedom becomes important: we are also using modern references to include steel and iron, which most of us imagine when we think about the 19th century. The first visualization of a concept is usually a sketch. Let us stick to the factory for this example. We are done with our initial research and can now start to scribble down all the ideas we have in mind to create many variations in shape and form. At this point, while being rough, our scribbles should demonstrate various shapes that could fit in an Anno landscape but also show what is inside the building. Here is something interesting to consider when creating buildings for Anno. When you take a birds-eye look on a real cityscape, it is hard to identify the various types of buildings. You might be able to spot houses, if it is some kind of cultural building or an industrial estate of sort. In Anno, we need you to be able to easily identify the type of building you are looking at. To immediately make you understand the type and function of a building, we make use of open walls or we even place elements that should be hidden inside the building (like big kettles or a smelter) outside to make it more readable. We usually draw several sketches to create a variety of concepts for a building. In previous Anno games, the first sketches were usually black and white line-arts. However, our team got more experienced and with that, much faster over the years. That means that today, most of our scribbles already have some coloration to give a better idea how things could look like in the final game. Once we have a variety of concepts, it is time to pick the most fitting sketch of the building. Our team decides which sketch would work best as a concept for a building, with feedback from our Art and Creative Directors and Senior Artists. There might be a case where we have a hard time deciding on one sketch, which can lead to picking two variants or even mashing them together to create a new concept. Once we have picked the best concept, a 3D Artist will create a low-poly 3D Mockup of the factory. That allows us to compare it to already created Anno buildings and helps to identify if size and proportions are working or if we have to alter the concept a bit. After we have checked various scenarios with our 3D dummy and decided that we can go ahead with the concept, it is time to go back to the drawing board. In the last phase, we take our first sketch and start to work on the final concept art. That means a lot of detailed work: we create a high definition file, work out all the missing pieces such as props, small details (which can be as minute as a poster on a wall) and define all the materials used in that building. It needs to be clearly visible what is made out of bricks, wood, metal and even if it is in a pristine or worn down form, especially for the later work with shader effects. Having all the details and the correct proportions is incredibly important as a reference for our 3D artists who work with that concept later on. When the final piece is ready, it is time for the last approval check. If we get the okay from the Creative Director and Senior Artist, it’s time to move on to another piece. If the concept art needs to be changed after the revision, we usually go back to the beginning of step four. I hope you found this behind the scenes look into the world of Anno’s concept art interesting. In a future Devblog, one of my fellow artists from the 3D side will take over to show you how our factory continues its journey into the finished game. Before I leave you, I would love to hear what some of your favorite Anno concept arts from the previous games were, so hit the comments. You might have even a few questions to our team regarding our work on the concept art for Anno 1800? With the announcement of Anno 1800 and the start of our Anno Union initiative, gamescom 2017 marked the beginning of a new era for the Anno franchise. With the first full month behind us, we thought it would be a perfect moment to start the week with a gamescom recap video, so lean back and enjoy some impressions from the big reveal and reactions to our Ubilounge presentations. Classic QnA’s and Union Updates, such as news about the next vote, will return next week (we will have of course a new DevBlog with a new member of the team for you all later this week). It surely has been a ride and we are still at the beginning. When we started, we had a clear vision for the Union and it is great to see that our appreciation for our fans and their experience is well received. We only managed to scratch the surface and there is still a huge list of topics to cover up to release of Anno 1800. As with the game, we will continue to improve the Anno Union initiative based on your feedback and might also try new formats, such as our first live stream which will come this October! We want to thank everyone of you for joining the Anno Union and accompanying us on our journey.